Are you seeking the top laminate flooring business in the Atlanta, Georgia area? The search can be overwhelming, especially with so many options available. What you need is a full-service laminate flooring company that can catch your vision for the perfect flooring and make it happen. Does this sound about right? At Atlanta Floors, this is what we do with excellence! Laminate flooring has taken the home improvement world by storm in recent years, and for good reason. It’s versatile and affordable and is wonderfully easy to clean and maintain. Plus, today’s laminate can look like just about anything—from natural stone and ceramic to any type of natural hardwood. Our customers at Atlanta Floors have been very pleased with their laminate flooring choices. • The high quality laminate product plus installation are more affordable than traditional hardwood floors. 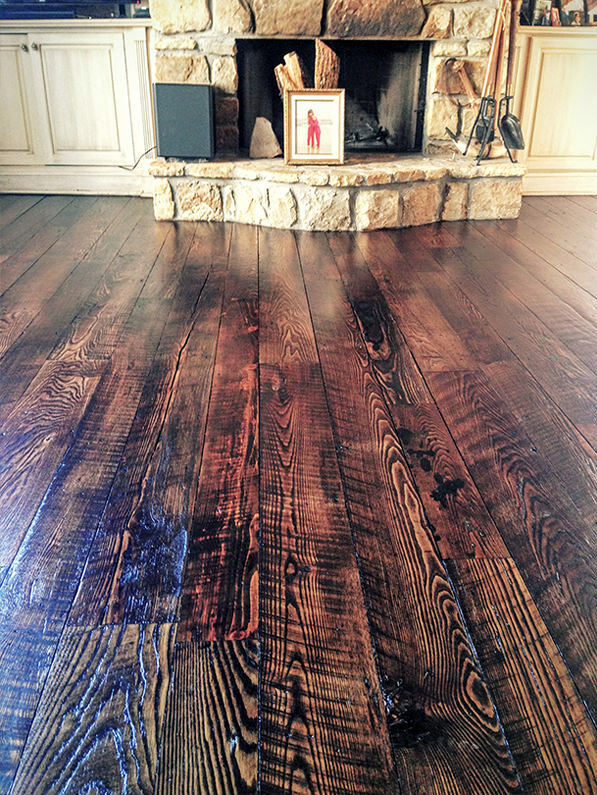 • Laminate flooring still provides that gorgeous hardwood floor appearance and shine without the high price tag. • Even better, laminate flooring is scratch- and stain-proof, water-resistant, and dent-resistant, making it an excellent choice for families with young children or pets or for any home or business with high traffic zones. Could you install laminate flooring yourself? Maybe. Is it easier to hire a professional service to get the job done right quickly. Definitely. Our laminate flooring installation pros can have your gorgeous new floor ready for traffic in no time. Just like any of our services, you’ll get special care and attention so you can feel good about letting us do the job for you. You will be amazed by how streamlined and simple the laminate floor selection and installation process is. You’ll be even happier about how easy it is to maintain! Contact us today and we can provide a quote for a beautiful laminate flooring installation for your Atlanta home or business.